There is a lot of hype around privacy tools online, especially encryption tools. After the NSA whistleblower, Edward Snowden, leaks, the globe has proof that government agencies worldwide are spying on their citizens. Not only spying, they have in depth analytic data on everyone just from using the internet. If that isn’t scary enough, they took that data, built facial recognition technology, hooked it into social media platforms, and now have a surveillance grid from a simple security camera on the street. So yes, privacy and encryption tools are great, they offer a way to stop these agencies from spying on us. A VPN online is extremely important. Not only does it provider a layer of protection, it helps stop fraud, attackers, and a number of issues users face online. A VPN encrypts your connection which in short means it jumbles the data so no one can see what you are doing online. When you visit a website without a VPN, anyone can see what your doing. Meaning logins or sensitive websites you view can be seen by hackers and attackers. A VPN encrypts all the connections meaning no one sees anything sensitive or not. Second, it stops tracking. Companies track users based on what they search with their IP. When connecting to a VPN trackers cannot track you based on your IP or location. 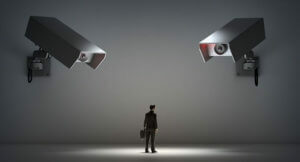 As the VPN is allowing hundreds of users to connect to the same VPN you are, no third parties can track searches, emails, advertisements, or anything traced back to your IP. They have to start basing on cookies which is expensive, time consuming, and has legal issues. A huge portion opt into IP tracking which is a thing of the past with a VPN. Read why you need to carefully choose what VPN server you choose. This matters for a number of reasons regarding daily usage, privacy, security, and what accounts you use. This is a bit more important than most think. Sadly, the VPN industry has been flooded with scammers and completely unrealistic services. Here are a list of commons scams and keywords to attract users. Watch OUT for these scams and do not buy into them. Make sure you sign up for our email list to get exclusive updates we only share with email subscribers!